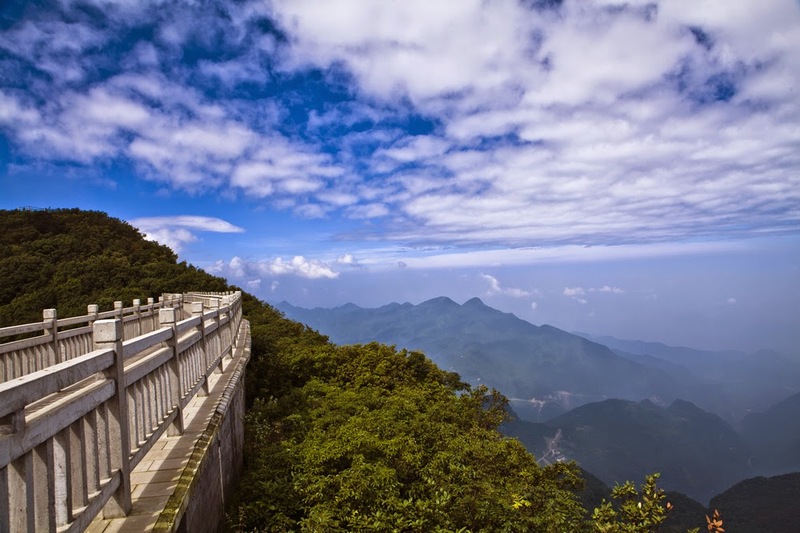 Jinfo Mountain is known by different names such as Chin Shan, Chin Fo Shan, Golden Buddha Mountain, Jinfushan, and Jinfoshan. It is the highest peak among the Dalou Mountains. It is situated in the superior reach of River Yangtze which is located in the district of Nanchuan, the popular municipality in Chingqing. This is an isolated mountain that has cliffs to maximum height of three hundred meters neighboring its comparatively flat top. 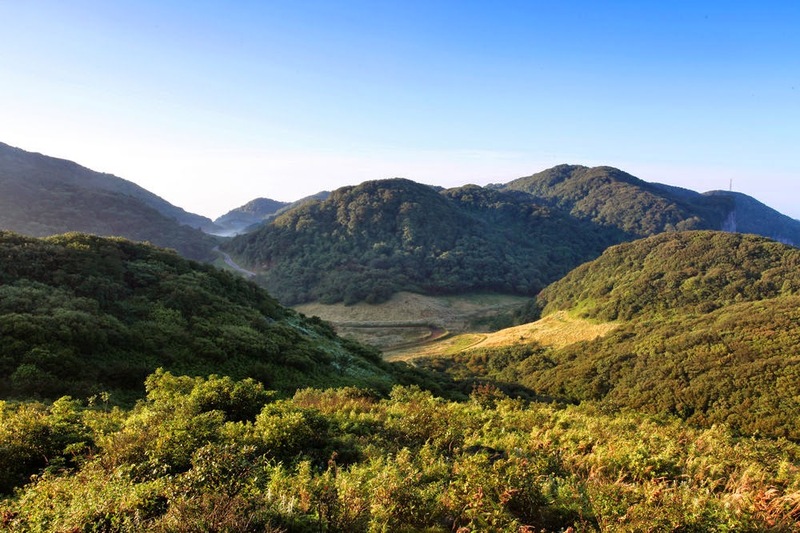 The main types of vegetation in Jinfo Mountain are coniferous forest, sub-alpine meadow and subtropical broad-leaf forest. 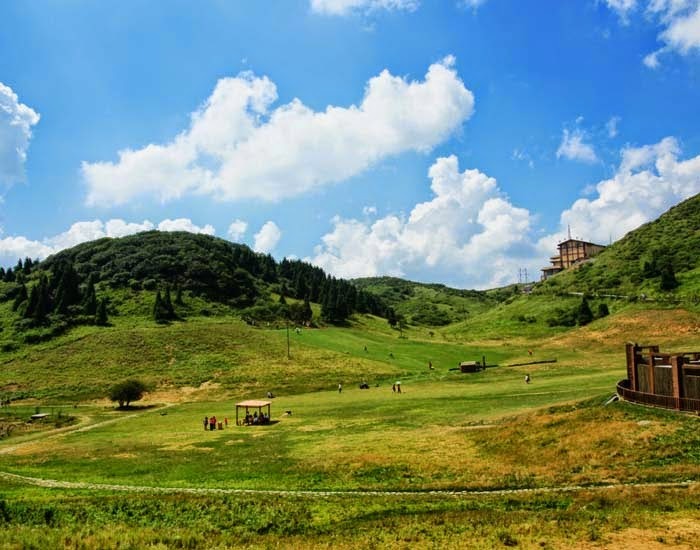 Apart from the general karst topography seen in gorges, cave systems and stone forests, this mountain is popular for the extra ordinary diversity in plant that counts to nearly four thousand seven hundred and sixty eight plants. The region near Jinfo Mountain is a great refuge for the animals which are in endangered status in the karst regions like Francois Langur Trachypithecus Francoisi. This area has uncommon karst features as well as superb biodiversity. Therefore, it is been listed from 2001 onwards as a tentative world heritage spot. The Jinfo Mountain is syncline type. The terrace as well as platform is consisted of the Permian limestone specifically in upper portion with nearly two thousand meters above sea level (a.s.l). There is huge amount of karst geomorphologies on the underground or the surface too. The sandstone and Silurian Shale lay in central portion of Jinfo Mountain from thousand meters to one thousand five hundred meters asl. The lowest portion of this mountain is well supported by the dolomite as well as limestone of Ordovician and Cambrian. Lot of micro and small forms of Karst can be seen in this region. There are lot of gorges and cliffs in the Jinfo Mountain. It is very steep in the northern side while the southern slope of Jinfo Mountain is slight. The Jinfo Mountain geomorphology can be categorized into two main kinds. In the lower portion of Jinfo Mountain, there is a gorge where elevation is approximately eight hundred to one thousand two hundred meters asl. It has a relative height over five hundred meters. It is mainly formed by eroding and water down cutting. 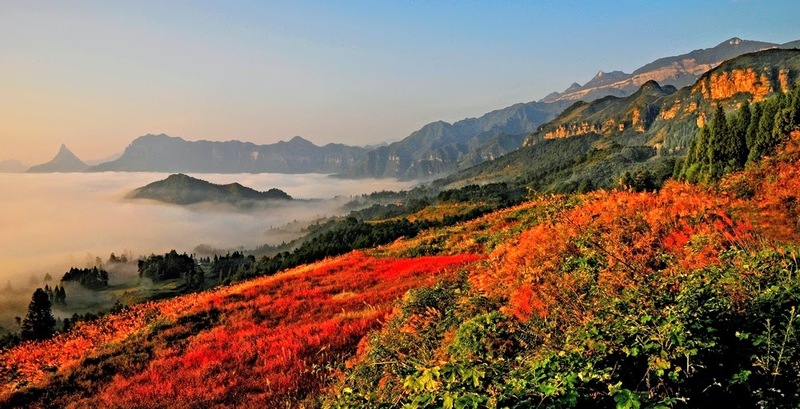 The Jinfo Mountain mid platform distributes the entire region above one thousand meters asl of Qingba mountain, Bozhi mountain and Jinfo Mountain. The comparative height is five hundred to one thousand meters. The method of mountain extension is very identical to tectonic line. The mountains’ top is a relic erosion kind. 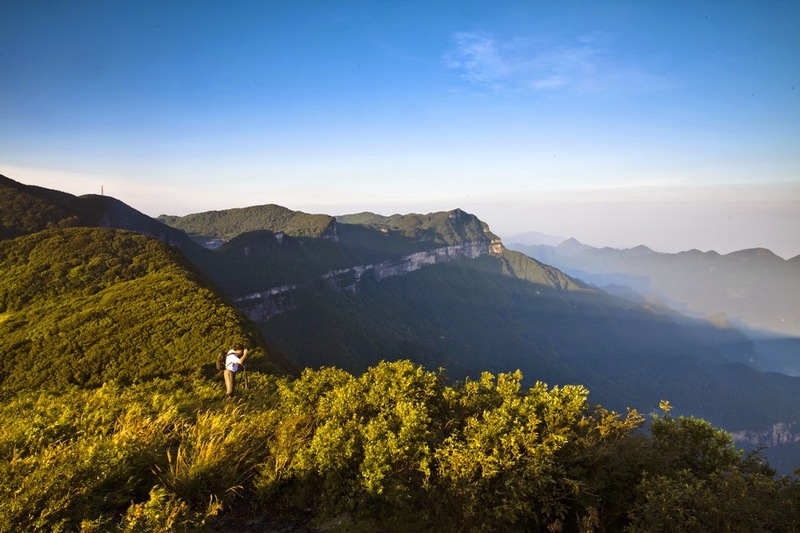 The climate at Jinfo Mountain is subtropical humid monsoon type with annual average temperature nearly 8 degree Celsius. The scenic spots of Jinfo Mountain are filled with flowers in April and May. Therefore, it is much appreciated by several tourists. The flower scenery is so lovely and captured by photographers from different parts of the world. The cableway in Jinfo Mountain is a significant means of transportation for travelers to Jinfo Mountain. It has been operated safely for past three years. Chongqing is a picturesque mountain city. Never miss this place!